Many publishers provide engaging information through newsletters in order to maintain communication with their subscribers while generating additional capital. However, it may seem challenging to ensure constant content that captivates your readers and keep them waiting for more. It is even harder to stand out from the billions of emails which get sent every day and are often treated as spam and reach out to your audience with unique content. Luckily, there is a way in which you can create capture the minds of your audience and create loyal readers through this guide. Read through to get the full knowledge of how to ensure that your emails reach your audience’s inbox and are not treated as spam. You can also visit https://www.campaignmonitor.com to gain more insight into emails and marketing. In the past, publishers would create large email lists with the thought of creating more engagement with their numerous subscribers. However, quantity goes hand in hand with quality and long emails may lead to potentially boring your audience. Thus, in current times, publishers now focus on engagement and retention. This includes strategizing, spending and funneling resources to ensure that readers are engaged – and even become loyal readers. With the many newsletters getting published, readers can easily become attracted to or ignore the newsletter completely. It all depends on the voice and insights used to deliver. Thus, this comes down to either curation or automation of a newsletter. When a publisher curates, their newsletter provide a personal touch to the audience. This gives meaningful content with controlled quality in which readers can relate to. In automation, publishers will engage their readers by programmatically recommending the right content. However, automation faces a risk of potentially sending the wrong content. Publishers are seeking ways in which they can monetize their newsletters as they are a productive way to engage readers. This helps them generate more revenue through enticing advertisers. In order to ensure that your newsletters generate you more income, you need to provide quality and engaging content that keeps your audience coming back for more and even brings in new readers. 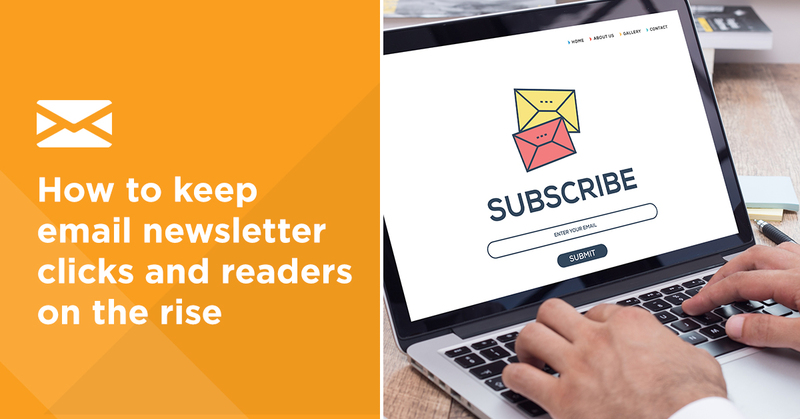 Since most publishers are now sharing the number of their subscribers in order to attract advertisers, ensuring that you have numerous loyal readers through useful content will help monetize your newsletter. You not only need to focus on creating rich content for your newsletter alone. It would be such a waste of time if your emails are treated as spam and never reach your readers’ inboxes. Thus, deliverability should also be your concern. This can be ensured by finding out ways in which deliverability is affected. Also, entice your audience with clean and engaging content while staying ready to part with unengaged readers. This way, your deliverability rates ensure the success of your newsletters. All in all, your end goal as a publisher is to capture as many loyal readers as possible. Keep your newsletters rich and full of content while checking on the quantity and deliverability rates. This will ensure that you develop successful newsletters that will be loved by your subscribers and will keep them curious for more. To find out more about ensuring loyal readers visit https://www.campaignmonitor.com/resources/guides/guide-to-cultivating-loyal-readers-with-email-newsletter/.